Pride Guide Carly Gasiewski is a junior public relations and dance major who recently visited Auburn, Alabama. Here, she discusses some of her observations made while visiting a new college campus. Over the spring break, I finally took a trip to visit my best friend down in Alabama at Auburn University. This was my first time in the South in general, so you can imagine that I completely had no idea what I was about to be immersed in. However, I found that the most interesting part of my trip was noticing the differences and similarities between a school like Auburn and us here at Hofstra. For one, when I say college, I actually mean college town. 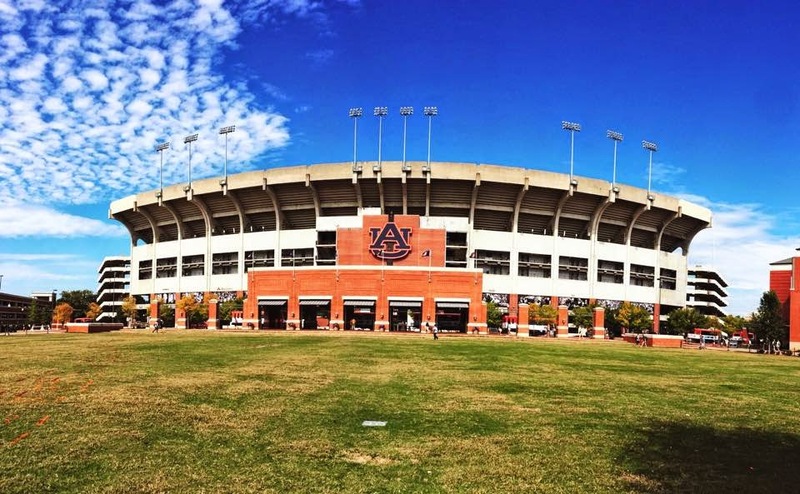 Auburn, Alabama is all about one thing, and that is the university. Coffee shops, super markets, clothing stores, everyone associates themselves with the university in some way (even the Wal-Mart had a university gift shop.) Everywhere you look you see “Go Tigers!” or “This is War Eagle Country,” and really any other phrase that would associate with the school and or their athletic teams, especially football. I have to say, this was something amazing to experience. It really gives you a sense of a connected community and gives you something enormous to be a part of. However, what I loved was how Auburn had their own sense of pride, just like we have here at Hofstra. Whether it was the football team, a sorority or frat, being alumni or just an Auburn student in general, everyone took pride in being a Tiger which reminded me of my Hofstra Pride. Photo credit: Carly's friend & current Auburn Tiger!